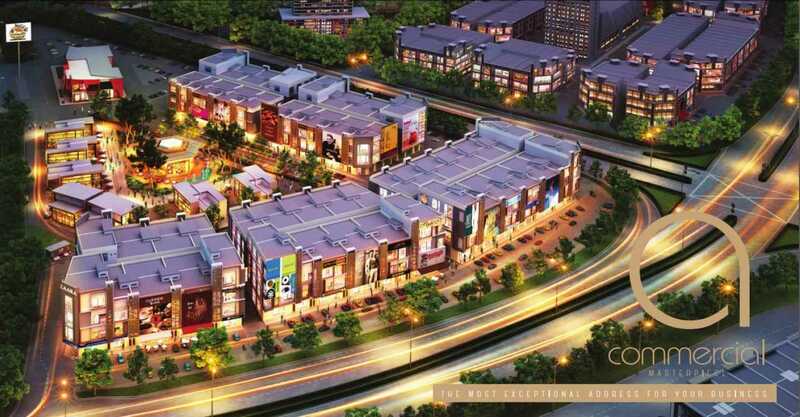 Nusajaya Square is a Freehold development of commercial shop lots, offices, sports center, hotel and retail. It strategically situated within Phase 2B SiLC Nusajaya – The Southern Industrial & Logistics Clusters – which is envisioned to be a world-class managed; clean and green Industrial park designed and planned to meet the current demand for environmentally sustainable development. As SiLC is one of the key economy driver for Iskandar Nusajaya, its close proximity to Tanjung Pelepas Sea Port and Senai International Airport, Nusajaya Square investment is gaining momentum. In year 2012, the Nusajaya Square shop lot phase 1 were completely sold out within 30 minutes on the VIP Preview day before it’s official launch. In year 2013, we launched another commercial project “Iskandar Putri” next to Nusajaya Square is also seeing overwhelming response. The Nusajaya Square phase 2 is now open for registration, tentatively VVIP preview day on 20th Sept, 2014. If you keen to invest in Nusajaya Square phase 2, kindly contact me at your soonest. We have very limited units for sale! Hurry, Don’t miss it again! Affordable pricing from RM 1.6mil (SGD638k). Capitalize on Nusajaya’s signature developments, including Educity, Medini, Afiat Healthpark, Kota Iskandar and theme parks such as Legoland, Puteri Harbour and Hello Kitty Town. Be part of a booming location with an estimated population of 60,000 residents from established residential areas such as Nusa Bayu, Taman Nusantara, Nusa Perintis and Setia Eco Gardens. 2. Developer will issue a “Acceptance Letter” & send to the purchaser/s after receiving the booking fee of SGD$20,000/- or RM$50,000/-& OTP within 14days. 3. Developer will send the SPA & relevant documents 14days after the “Acceptance Letter” to the Purchaser/s corresponding Address. 4. Settle 10% of the purchase price less Earnest Deposit upon signing SPA within 3 working days. 5. Thereafter, payment will be according to payment schedule – progressive Payment.